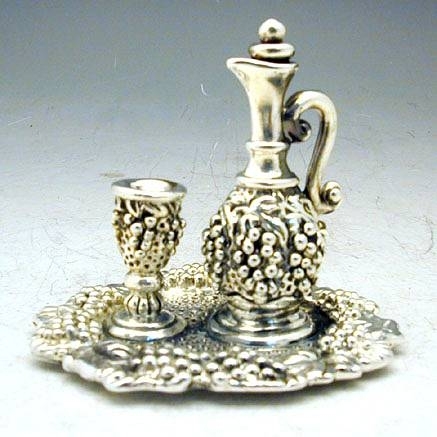 Wine Cup & Bottle on Tray Miniature Great artisan sterling silver wine cup and bottle on tray miniature. 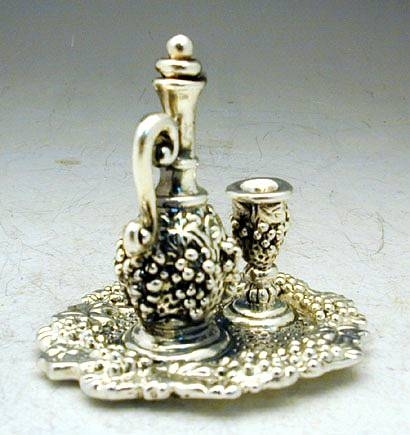 This great miniature is superbly executed as a stylized wine bottle and Kiddush cup goblet on oval tray. 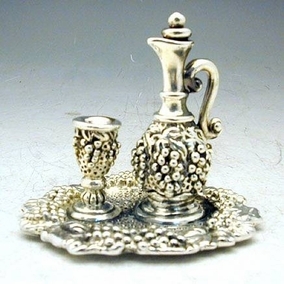 The cup, bottle and tray are all beautifully decorated with grape and vine ornaments. This item was made in the electroforming method. Measurements: Height: 7cm. / 2.75in. Weight: 7.6gr. / 0.24oz. Marks: 925 for sterling silver.